The ability to actively extract disolved gases from the mud stream and deliver them to the gas analyzer intact is job one! What follows is meaningless if this is not done well. Maximum hydraulic impact. 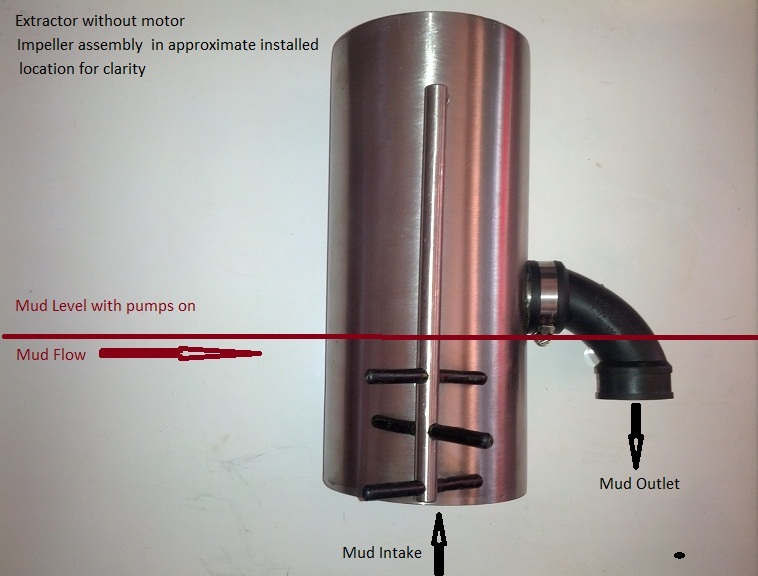 To liberate disolved gases, mud is drawn past a baffle into the extractor body. Six large flexible impellers of over five square inches of impact area, transfer up to 1.8 horsepower of shear force into the smallest possible volume of fluid. Not to make it spin, as so many designs do, (centrifugal force does not promote nucleation) but to vastly increase the effective swept area of impact and thereby nucleation points, releiving more gases for analysis. Active extraction. By carefully throttling, filtering and metering incoming air, we induce a controlled partial vacuum inside the extractor, literally pulling gas from the mud while minimizing the use of ambient air which can only dilute the sample, dulling gas curve dynamics. Controlled dilution of the extracted sample. Discharging fluid below the mud line, downstream of the intake point, insures a constant positive mud turnover with no air intake so that a more detailed gas curve will result. Mininimal "dead space" in the extractor body allows for rapid gas turnover to very accurately track small gas density changes with increasing depth. Insightful design and engineering provides very high performance while minimizing common issues such as uncontrolled dilution of the sample, mud entering the sample lines and gas detection equipment or wind simply blowing the gas away. Automated switching controls sample flow, preserving samples in the flow line while introducing a "clear" check opportunity for the sensor bank. Superior performance requires careful design. Too often "trap" design is left to the welders rather than carefully applying hydraulic engineering to achieve very specific performance goals. No effort was spared in the development of our extactor method. If not done right all else that follows is for naught. 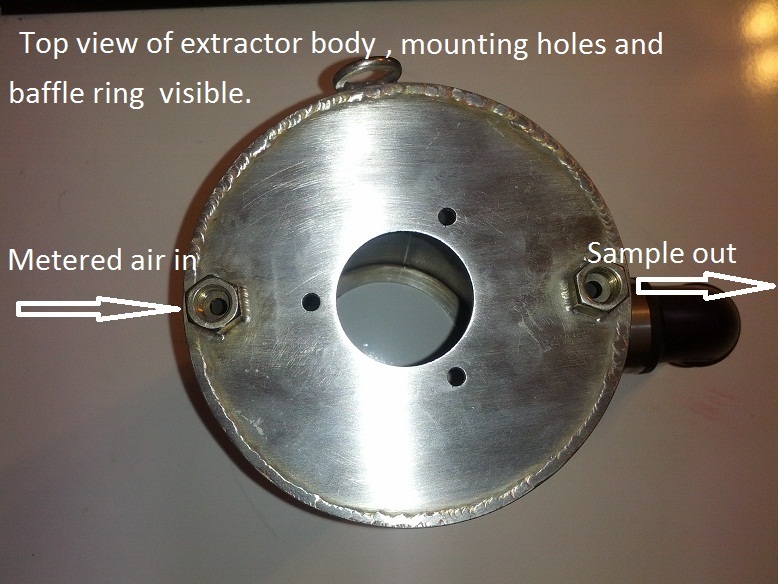 Extractors are ﻿#304 stainless steel.